The gender-rights activist added that she won't be visiting the hill-shrine alone, but a group of women devotees will be accompanying her. Coming out strongly against the agitations carried out against the Supreme Court ruling permitting women between the age of 10 and 50 to enter the Sabarimala shrine, Bhumata Brigade founder Trupti Desai on Saturday said she is still determined to visit the temple. The Pune-based social activist labelled the position taken by the opposition Congress and BJP in the matter as "unconstitutional." Stating that she will soon announce the date of her visit to Sabarimala, Trupti added that the ongoing agitations against the verdict need to be ignored. She also said that her trip to the hill-shrine will not be a solo one, but a group of women will be accompanying her. The Karnataka-born also requested all people to welcome the verdict whole-heartedly. 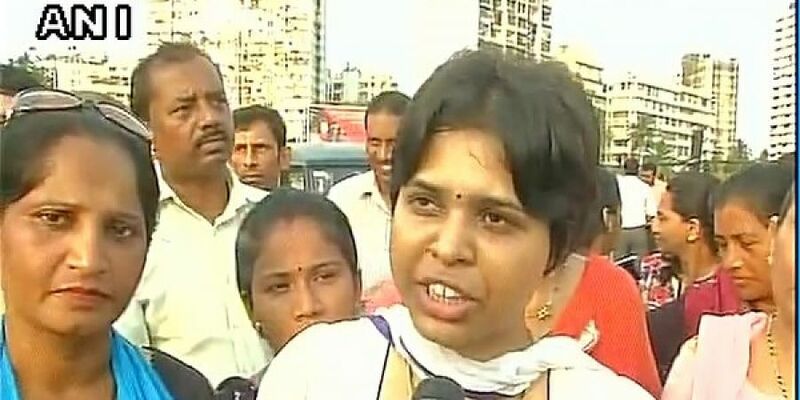 Trupti Desai's Bhumata Brigade, a Pune-based organisation, through which she has campaigned against the discriminatory treatment meted to women in religious places like Shani Shingnapur Temple in Ahmednagar district in Maharashtra, the Mahalakshmi Temple at Kolhapur district and the Trimbakeshwar Shiva Temple in Nashik districts.